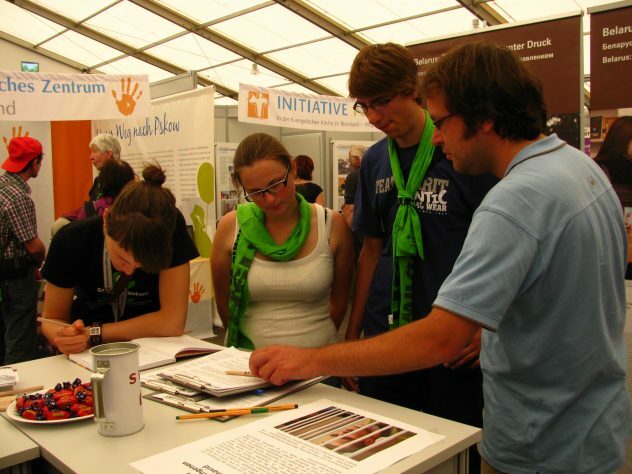 Exactly ten years ago, ten enthusiasts met in a room of the Bonn Institute for Microbiology and Biotechnology “to found the organisation ‘Libereco – Partnership for Human Rights’”, as the very first protocol says. A lot has happened since 1 February 2009. Libereco has not only grown significantly, but our actions have become ever more extensive and our partnerships farther branched. 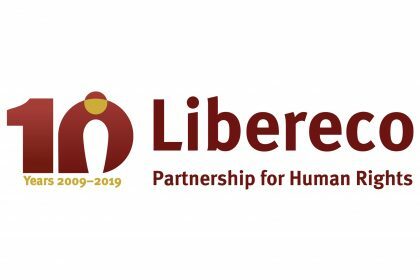 To mark the 10th anniversary of the founding of Libereco, we want to take a look back at the past decade, the most important projects and the key milestones of our organisation. 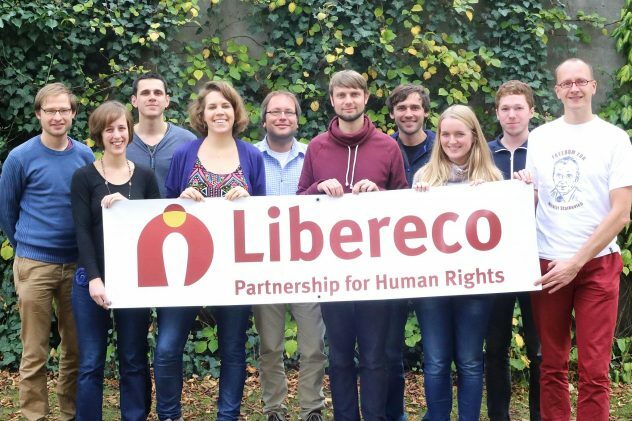 Almost all of the ten founding members of Libereco were active in the Bonn chapter of Amnesty International before founding our organisation. Since the turn of the millennium, some of them had already been working to improve the human rights situation in Belarus. 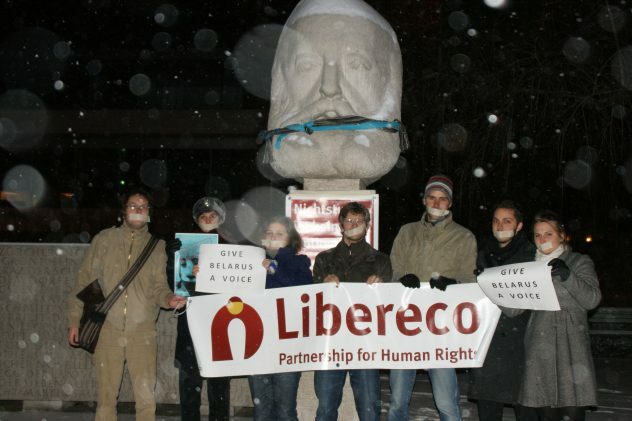 Against the background of massive repressions against government critics, Libereco was founded to focus even more strongly on this post-Soviet country. From the very beginning we were able to use many existing contacts with Belarusian organisations and activists, and to expand these connections in the following years. In particular, our cooperation with the most important Belarusian human rights organization, Viasna, should be mentioned here. 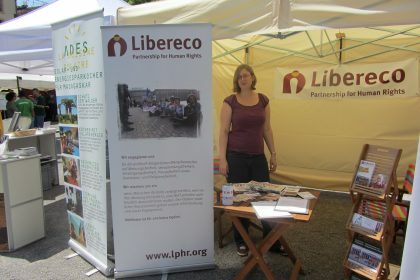 In the first few years following the foundation of Libereco, we mainly lobbied for the release of political prisoners and for victims of repression and state arbitrariness in Belarus. For this purpose we also founded a patronage committee, which included the then Member of the European Parliament Marek Migalski and the former Member of the German Bundestag Marieluise Beck. Later, the work of our organisation increasingly shifted to awareness raising and wider-ranging projects, as well as educational work and training in the field of human rights: From 2011 to 2013 our exhibition on the situation of human rights in Belarus toured through Germany and Switzerland; in 2014 we organised the first “Belarus Barcamp” in Wernigerode; and in 2015 and 2016 we observed the presidential and parliamentary elections in Belarus as part of the trinational journalistic research trip “Belarus Votes”. We also advocated for Belarusian students exmatriculated for political reasons and evaluated everyday repression in the months following the lifting of EU sanctions against Belarus. In our current project, which has been running since autumn 2018, we are working together with the Belarusian Helsinki Committee and Humana Constanta on a report on the human rights situation of the homeless in Belarus. The results will be presented to the Belarusian and international public during a media trip in spring 2019. Since the annexation of Crimea and the outbreak of war in Donbas, human rights violations have also increased in Ukraine, especially in the conflict areas. That is why Libereco has also been active in Ukraine since spring 2014. In the beginning, we mainly collected donations for humanitarian projects, which resulted in strong partnerships in human rights and educational work. Our central project in human rights work on Ukraine is the graphic novel “Crossroads”, which we produced in 2017 together with human rights and civil society activists, as well as local artists. The graphic novel depicts fear and misery, decisions and hopes of the people in Eastern Ukraine. Since mid-2018, we have been developing concepts for using the book in human rights education. In addition to the existing Ukrainian and Russian versions, we will soon translate and distribute the book in English and German as well. Since the foundation of our organisation in 2009, we have been collecting donations to document and publicise human rights violations, in order to increase the political pressure on the governments responsible. We also help people in need both in Belarus and Ukraine. In the past ten years we have collected almost 100,000 euros – many donors have regularly supported us and our work since the beginning. They deserve our special thanks! But what happened to that money? We have supported human rights organisations and homeless projects in Belarus. But above all we have helped people in need in Ukraine: The money raised in Germany, The Netherlands and Switzerland has benefited wounded civilians from the Euromaidan in Kiyv and the war zones in Eastern Ukraine. Thanks to the donations collected by Libereco, our Ukrainian partner organisation Vostok SOS was also able to buy an ambulance, and renovate both a school and several children’s’ and youth centres, equipping them with hardware, learning materials and toys. 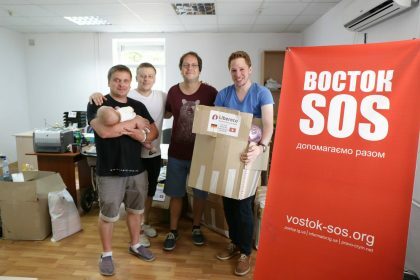 Since 2014, together with Vostok SOS, we have also been able to provide hundreds of people – especially the elderly, sick and families with children – with humanitarian aid packages in areas close to the still active frontline. Given the many small successes and some major ones over the past ten years, one thing must not be forgotten: Almost all of Libereco’s work is done on a voluntary basis – be it during leisure time, at weekends or late at night. Therefore, special thanks goes not only to all former and currently active members, but also to our companions and supporters, who have trusted Libereco all these years and have motivated us to sometimes take unusual steps. 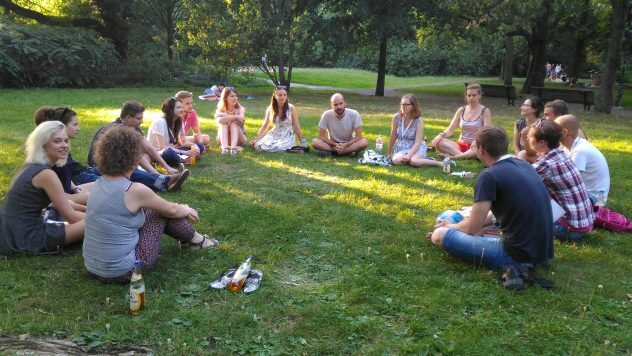 We will celebrate our anniversary in Berlin in early summer – and we want to party with as many friends, helpers, partner organisations and guests as possible! We will inform you about the date in our newsletter, which you can subscribe to here, if you have not already done so. We currently have 40 members in Germany, Switzerland and The Netherlands. Since 2009 we have completed eight major projects, while two more are currently underway. In total, we have worked with almost 20 different partner organisations from Germany, Belarus, Ukraine, Poland and Lithuania. We have had international cooperations, campaigns and petitions with NGOs from the USA, Sweden, the Czech Republic, Norway, South Africa, Slovakia and Switzerland. 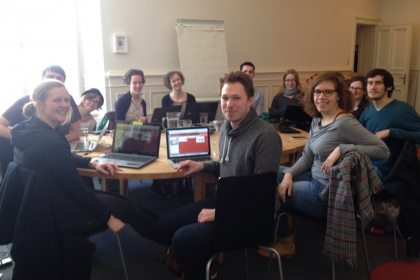 Local Libereco groups are currently active in Berlin, Munich and Zurich. In the ten years of our existence, our website has been clicked more than 660,000 times. Libereco has been a member of MitOst since 2014 and part of the Civic Solidarity Platform since 2017. 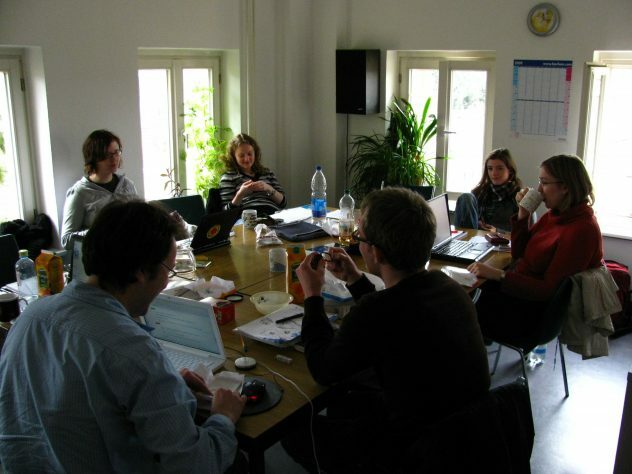 Bonn, 2009: The founding meeting. Zurich, 2010: Protest against massive state repressions and the crackdown on a major demonstration after the Belarusian presidential election. Dresden, 2011: Liberecopresents an exhibition about the human rights situation in Belarus at the Protestant Kirchentag. Brussels, 2012: A total of 15 representatives of Libereco, Gefangenes Wort, the Federation for Social Defence and the Berlin Belarus group of Amnesty International, as well as the Belarusian political activist and journalist Alyaksandr Atroshchankau and the Chairman of the Assembly of NGOs of Belarus, Siarhiej Mackievic, visited the EU Parliament. 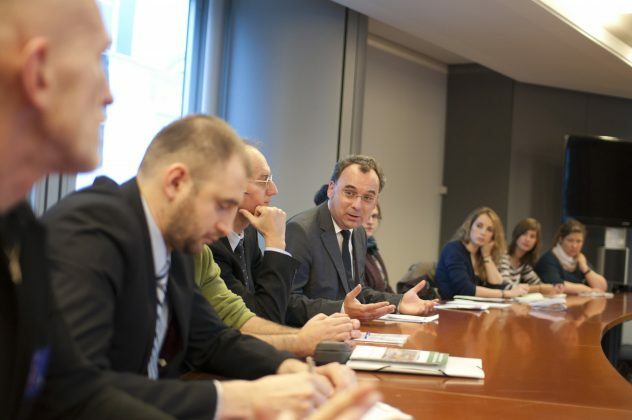 Among others, we spoke with Filip Kaczmarek (centre), then Chairman of the EU Delegation for Relations with Belarus. 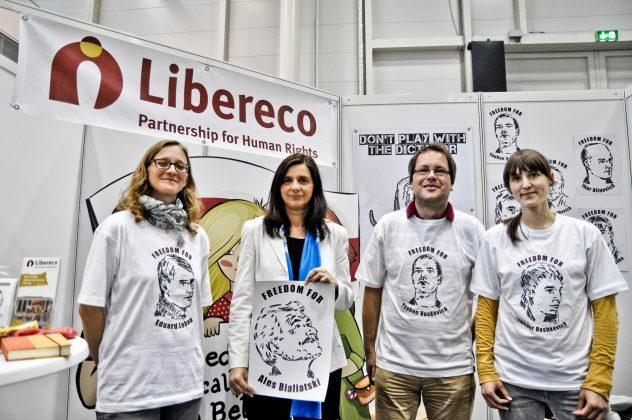 Hamburg, 2013: Together with Green politician Katrin Göring-Eckardt, at the Protestant Kirchentag Libereco called for the release of all political prisoners in Belarus. Leipzig, 2014: Two-day workshop on human rights in Belarus and Ukraine. 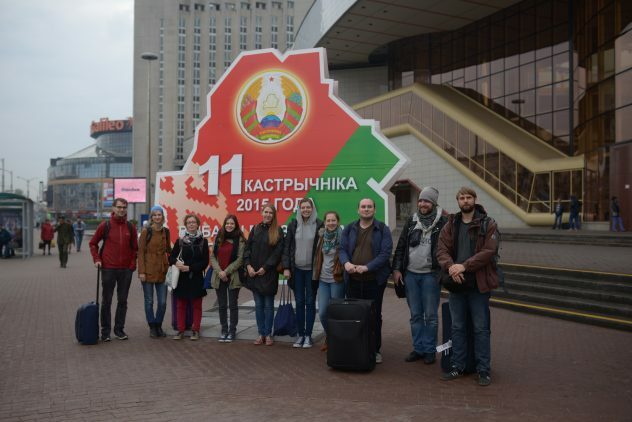 Minsk, 2015: At Minsk Central Station, participants of “Belarus Votes”, a journalistic election observation of the Belarusian presidential election 2015 co-organized by Libereco. 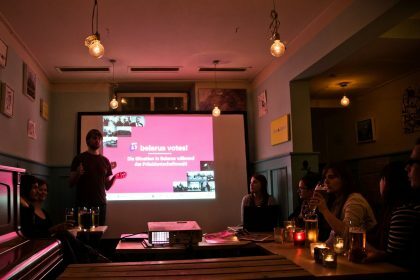 Berlin, 2016: Preparatory workshop for the second edition of “Belarus Votes” in the run-up to the Belarusian parliamentary elections in 2016. 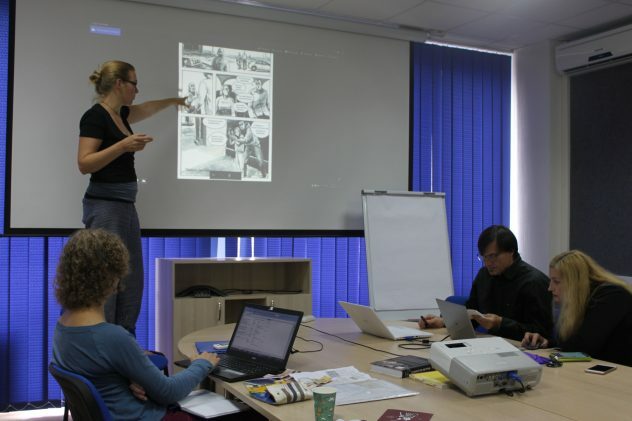 Kyiv, 2017: Meeting of the graphic novel project group. 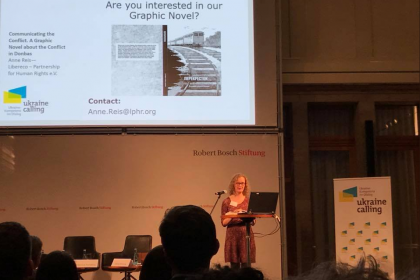 Project leader and historian Imke Hansen from Libereco explains why the graphic novel is an opportunity to present human rights violations that are difficult to describe with words alone. Shchastya, 2018: Two members of the Libereco Executive Board travelled to Eastern Ukraine to intensify contacts with our partner organisation Vostok SOS, as well as to develop ideas for future projects. They were able to learn more about the work in Eastern Ukraine directly – as here in conversation with two residents of the small town of Shchastya, which lies directly on the frontline.